Whistleblowing by finance professionals has begun to make significant inroads into the sector’s culture of secrecy and collusion. 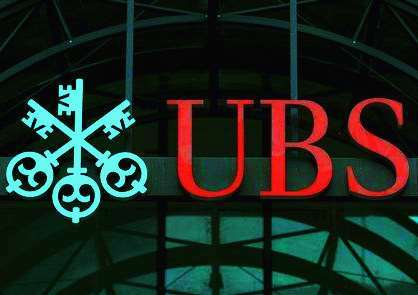 Here UBS whistleblower Stéphanie Gibaud describes the costs to the individual of doing the right thing. From a distance private banking looks like a fairy tale. It is a world of luxury, where one meets one’s social and intellectual peers, where the sheltered atmosphere of the bank offices somehow protects every client, banker and top managers from the outside world. Inside a private bank, as an executive devoted to satisfying the clients’ needs, it can take a while to understand what it is all about. Everyone’s mission is to make sure that their jobs are done properly. People work hard, they spend countless hours at their desks in meetings to brief and debrief projects. They are dedicated to their superiors in the organization and their clients. The banks claim that they are in business to manage the wealth of entrepreneurs, top managers, CEOs, old money and new money families. But this is at best a half-truth. At its heart, private banking is about making offshore facilities available to those who wish to avoid paying tax and to hide their wealth. As well as senior managers in the private sector and the already wealthy, this includes a surprising number of politicians and influential figures in the media. This has created a kind of higher lawlessness. Public understanding and hence democratic oversight are systematically frustrated by a class that includes those among the rich who will stop at nothing to increase their wealth, politicians determined to convert elected office into private gains, and an enabling apparatus of bankers and tame intellectuals. However, when one understands that there is something wrong with private banking – in effect, offshore banking – blowing the whistle internally or externally can feel like committing suicide: a quick death or a long and painful one, but the end of a certain kind of life nonetheless. Let’s remember that private banking is dedicated to wealthy clients. The clients are the ones who have the financial, business, administrative, legal powers. They can pick up the phone and call in favours from powerful people. Their privilege is about more than a very comfortable lifestyle. It is about the support of a network of professional friends in the public and private sector. We can all imagine what luxury is, we might even have had a taste of it. But most of us do not know what it is to belong to this world, where politicians and journalists as well as accountants and lawyers are eager to be of assistance. Because this is all what it is about: the so-called privileged elite is extremely well organized and is united when it comes to defending their own interests. Private banking is one part, an important part, of this organization in defence of privilege. Once you have blown the whistle in the private banking sector, well-trained managers will do all they can to crush you like an insect. Their techniques will vary in intensity from demotion and social isolation all the way through to discrimination and harassment. Your reputation will suddenly be ruined throughout the financial sector. Insurance companies and business partners but also the clients of the private banks will all hear about your supposed failings. One must keep in mind that this is a small world. The core business focuses on the top managers of large companies, owners of small and middlesize companies and the very rich. This group includes influential people in show business and professional sport, many senior politicians and the heads of supervisory authorities. Blowing the whistle in the private banking sector means never being hired again. It means being blacklisted. And if one has no income, one cannot live long. Those who work in the sector are fully aware of this. The fate of whistleblowers is about more than punishing the individual. It is about sending a message to others. Private banks like to file complaints against whistleblowers wherever possible. They object to their targets’ writing books, giving interviews, attending conferences, and participating in debates. Being jobless, the whistleblowers will struggle to pay their lawyer’s fees. Everything is stacked against the whistleblowers and their reputation. When they are executives of a bank, it is easy for managers to isolate them from their colleagues through the use of bonuses and promotions and a carefully crafted communications strategy. If the case is public, it is easy for the bank to play the card of discrediting the whistleblower: the message delivered by the whistleblower is not attacked at all, but the messenger is. Easy for the industry to do so as they advertise in all the media on a global scale. Most of the whistleblowers in the private banking sector also face the terrible challenge of prison sentences, namely in countries where banking secrecy is a big business and thus where the law is structured to make it hazardous to speak out. Several huge private banking cases have hit the media headlines these past years. They have helped people outside the gilded world of offshore privilege to appreciate the significance of the sector for both the developed and the developing world. Yet though their actions have helped bring the pathologies of offshore into the daylight, they are just ordinary, middle class executives. They do not claim to be heroes, nor do they want to be. They just did what they had to do. All of their cases are different but they are all being punished in democratic societies because they refused to support illegal and illicit operations. Most of our democracies have not passed laws that adequately protect finance sector whistleblowers. In France, the legislature passed a law permitting “mass surveillance” in the Spring of 2001. But these same politicians are dragging their feet on measures to establish whistleblower protections. How come there are only five Deputies and Senators in France interested in this subject even though we know that the country is missing a trillion euros? How come there aren’t prison sentences for top managers who are responsible for developing strategies that are clearly illegal? When whistleblowers from the private banking sector decide to stand up, they are standing up against corruption and politicofinancial scandals. Fighting the most criminal industry in the world means they have to reckon on joblessness, disruption to their personal life and threats to their physical and mental health. They are fighting an ultraorganized and high-powered enemy who uses any tools and whatever it takes to win because with them, it’s all about money.